Konusu gibi çağımızın çok ötesinde. Quit after watching 4 episodes. I can see the charm and humor, but probably there isn't anything beyond a teenager fantasy of being intellectually and creatively superior to the whole world. 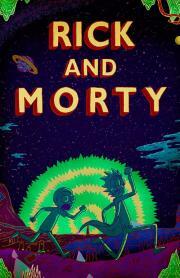 This alternative universe only serves to justify the righteousness of R & M's broken, loser male egos. This is probably why it has a huge young male fan-base. Yes, at some parts it's very funny, but it's not enough for me. Insightful, imaginative, funny, dysfunctional. I went in thinking this show was surely overhyped, and I've caught up thinking it deserves its buzz. Can't wait for the next season. How do I rate a show like this? Its writing is very clever and satirizing the Doc Brown/Marty relationship is good for more than just a one-off joke. The problem is it often uses its good script to tell the most unimaginative, pandering, or most low-brow jokes possible. Whenever its characters have even the slightest iota of development, you can be sure it will be reversed in a handle of episodes. It's a good thing it uses the multiverse premise well, it would be nothing with it.